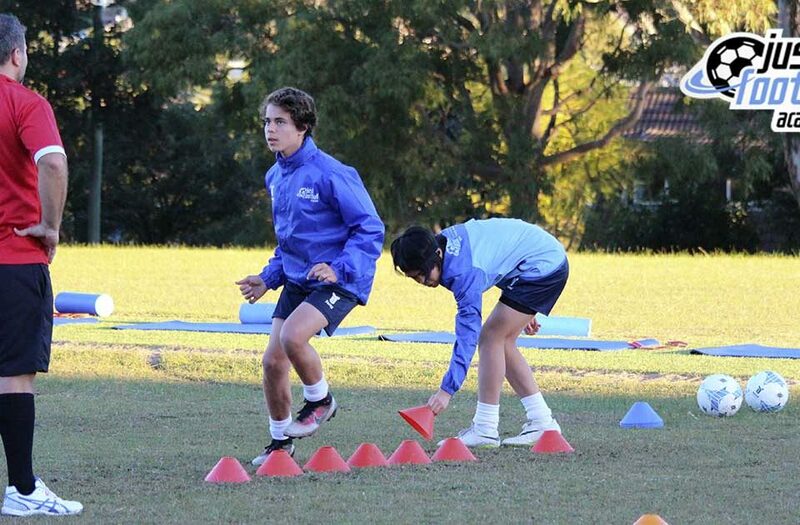 I have learnt many things in my time as a coach, and surely will learn many more things in the years ahead. One thing that interests me immensely, and will always keep me striving to be better at managing, are the many levels of development. 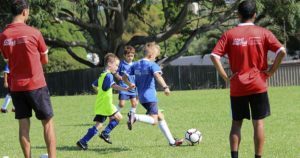 At justfootball academy we have three groups that we manage the players within, The Beginners (5-8), The Advanced (9-12) and The Advanced Youth (13+). The Beginners group is focused on creating learning in a fun environment, lots of touches on the ball and clever exercises that bring about the desired outcomes. The Advanced group is a skill specific model that promotes technical ability, development of fine motor skills and imagination. And the Advanced Youth group focuses on football intelligence, maintenance of technique with more efficiency and management of the player’s bodies to improve performance. Within all these main categories, lie many smaller stepping-stones for each level. For example, at the beginner level we need to be able to manage player behaviour, attention span and even how we communicate. 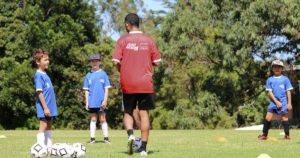 Coaches are developing more than just football skills at the junior level; they are educating attitude, respect and work ethic. And if we look even deeper, each individual requires a slightly different approach, whether that be, direct eye contact when addressing him or her because speaking to the group doesn’t engage them. It may be that an individual requires specific tasks otherwise they don’t understand what to do, etc. etc. Sometimes you can’t even introduce certain constraints because the ability is very basic, and then what do you do with mixed player levels. I think a good coach is creative in their methods, flexible in their approach to training and not too proud to be simple when required, for the benefit of the players. Sometimes you need to realise that the student has not yet finished crawling, and the crawling has many lessons within it that are crucial to the walker. I see many coaches training good players, and that is great. Some coaches are only interested in working with the 5% that play representative football, some only know how to coach at a high level and some don’t have the ability to deal with fundamental coaching. There is nothing wrong with any of the above and there is definitely a place for these coaches. 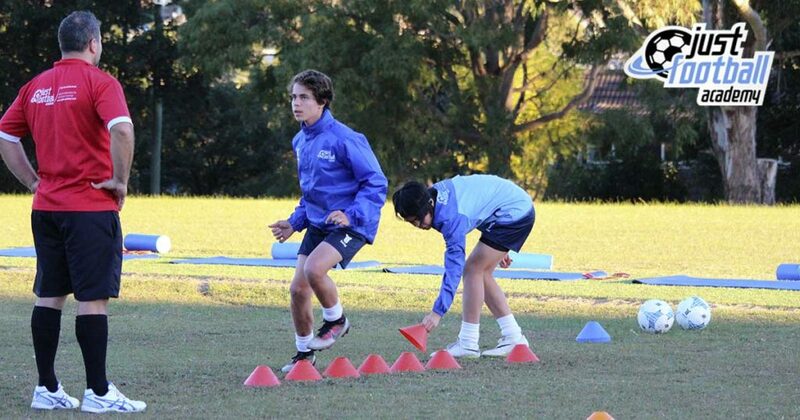 Player development is a long journey and there are many rungs that need to be climbed to get to the top, and there requires different coaching skill sets along the way. There is a big difference between coaching good players and developing good players. It brings me great joy when I see a player that started as a blank canvas, develop even the most fundamental skills. Progress is great no matter the size and it’s because of the work of these patient coaches, that other coaches have the pleasure of working with good players that have been taught the fundamentals, learnt to be disciplined and hard working, and who have gotten through the basics and the pain. I respect those that work with children, and there are many better than I, and of course I want to be better. I love to work with good players also and have found it very educational coaching both sides of the coin, I feel it makes me a better coach. 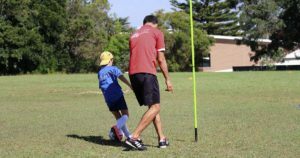 I’m glad that at justfootball academy we coach players from the ground up, this gives us the comfort of knowing that our players are learning good habits and good behaviour. We must thank the grassroots coaches for football introduction and developing football passion, and like to think that professional clubs will thank us at the other end, for our work in between. U14 Regional Conference Golden Boot Winner 2015!